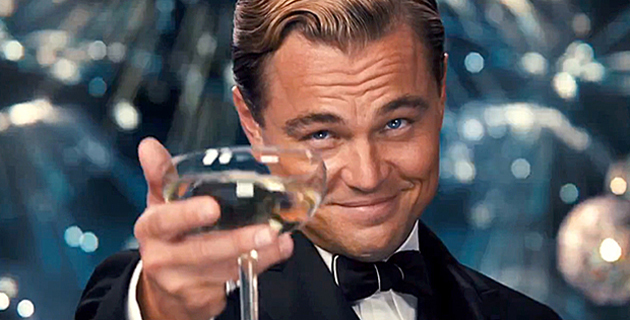 The Baz Luhrmann remake of Fitzgerald's The Great Gatsby is out now, and if you haven't seen it yet, go watch it right now. Now, I can't claim that I like or even enjoy the story at all because at its core, Gatsby mimics reality stunningly well, and I so stubbornly hate that for some vague, inexplicable reason. It's an odd feeling, disliking and liking something at the same time. I'm forever stuck in this weird limbo of emotions. While I find I dislike all of the characters and what they stand for, the movie is charming and captivating. Am I being unreasonable? (Yes.) I am blatantly rejecting a good story because it ruffles my feathers and leaves a bad taste in my mouth (which I imagine is the point). It doesn't feed me the same disillusioned ideology that every mainstream piece of media does—which is refreshing—but I can't curb my absolute loathing of every character. There are no "good" or "bad" guys, just several selfish people looking out for themselves and acting on their own selfish desires. In the end, maybe I reject it because it hits too close to home. If you're interested in delving a little more into the minds of the characters, this article does a really great job: Are There Any Feminists in the Disillusioned Jazz Age? *Sorry Fitzy fans, I just can't get behind the excessively long sentences and droll tone. Believe me, I've tried.